Can’t find an Auburn Club near you? Inquire about chartering an Auburn Club in your area. AMBUSH, the Auburn Alumni Association’s annual engagement tour, is back for a third season! AMBUSH events are a great way to celebrate with fellow alumni and raise scholarship funds for future generations of Auburn students. This year, Head Football Coach Gus Malzahn and Men’s Head Basketball Coach Bruce Pearl will be on board to get fans in the spirit for next season. 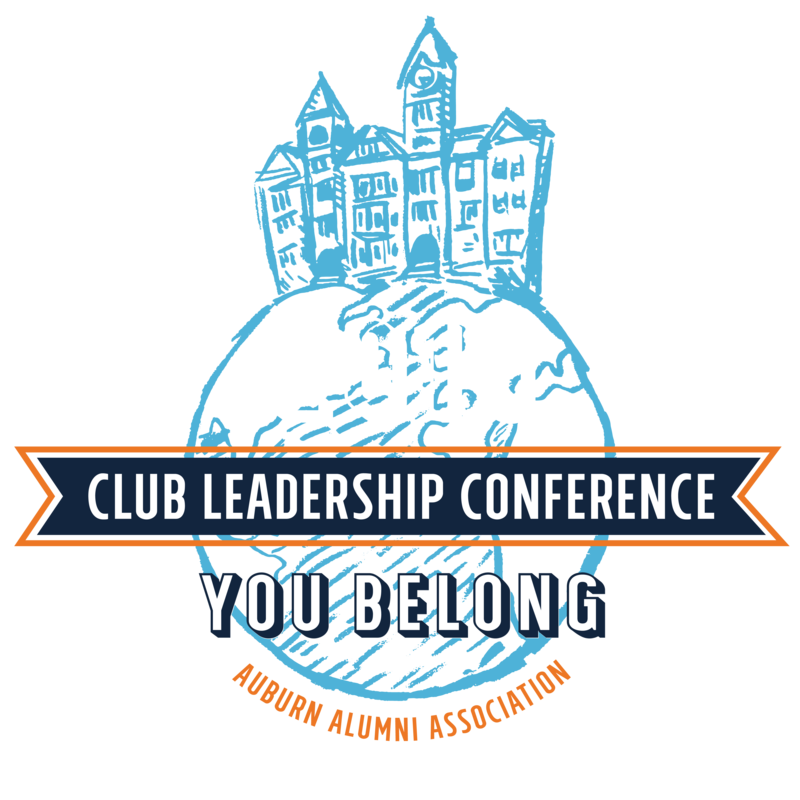 The 2019 Club Leadership Conference was held February 1-2, 2019 at the Auburn Alumni Center. Over 130 club leaders from 60 different Auburn Clubs attended the conference and gained valuable knowledge to share with their local clubs. For pictures from the event, click below. Auburn Clubs and Auburn Alumni Affiliates are for all Auburn alumni and friends. The Auburn Alumni Association is dependent upon contributing members to provide the necessary financial support to help carry on the services and programs required for an effective Auburn Club Program. Auburn Alumni Association bylaws state that members of an Auburn Club must be members of the Auburn Alumni Association. All club officers should be contributing members (Annual or Life Members) of the Auburn Alumni Association. An Auburn Club is comprised of Auburn alumni and friends whose bond is Auburn University. The goal of every club is to foster the Auburn spirit by engaging members of the Auburn family in their respective communities, supporting current and future students through the funding of scholarships, and promoting the objectives of the Auburn Alumni Association. An Auburn Club can be located anywhere in the nation or world. Auburn Clubs are charged with hosting meetings and events, providing community service, raising scholarship funds and serving Auburn students. For a club to thrive and maintain a continuation of leadership, it is encouraged for there to be a minimum of 100 alumni in the counties within a 50-mile geographical radius. For those areas or groups who would like to foster meaningful engagement opportunities beyond the traditional geographic club structure, the Auburn Alumni Association offers the option of becoming an Auburn Alumni Affiliate. These affiliate groups offer a platform for alumni with similar interests and common bonds to connect and network. Affiliates primarily meet for social engagement and are not required to meet the guidelines of a chartered Auburn Club. To learn more about starting a club in your area please email auclubs@auburn.edu. What is the Auburn Club Membership Commissions program? Auburn Club Membership Commissions is a program established and approved by the board of directors of the Auburn Alumni Association to foster and increase contributing memberships in the Auburn Alumni Association, as well as to enhance the association membership experience. Local Auburn Clubs may not charge separate dues. All clubs participate in Auburn Club Membership Commissions. How do Auburn Clubs Benefit from Auburn Club Membership Commissions? The Auburn Alumni Association will automatically assign members of the alumni association to a club in their area. Names and contact information is provided to the clubs to help increase communication, membership and participation in the club. The association will pay “commissions” to clubs who recruit new and returning contributing members to the association. These incentive payments are made after the end of the association’s fiscal year, September 30, and are deposited to the club’s annual or endowed scholarship fund held by the AU Foundation or operating expenses (no later than November 15). If a club does not have a club scholarship, the money will be held for one year to allow the club time to establish one. After one year, if the club has not established a scholarship fund with AU, the money will be placed in the Auburn Alumni Association scholarship endowment. To earn commissions, contributing members need to list the name of the Auburn Club on their membership application or select it from the drop down list when joining online at www.alumni.auburn.edu/join. Can my local club still have membership dues? No. Membership will be unified. All General and Contributing Members of the alumni association will automatically be eligible for local club participation. This will eliminate confusion between club memberships and association memberships. Who can provide my club with membership applications? Contact the Office of Alumni Affairs – Club Management for membership applications. You can contact them at auclubs@auburn.edu or 334-844-1148. Also, a PDF application is available for download in the portal. Just click the membership application link and insert your club name in the Auburn Club field. How much scholarship money will my club make by selling association memberships? Can you tell me how many memberships my club has acquired this month/year? Yes, your Auburn Club name allows us to track your memberships. How do people join the alumni association? My club does not have a local scholarship. How do I start a scholarship? Call (334)-844-2995. Steve Inabinet can help your club start a scholarship program.